With ice destroying his community around him, Jack took his last four dollars and gambled it all on The Property Games. A deal-maker and player by nature, Jack had talent, but his biggest challenge was always going to be his own mind. Could break free of the self-hate and sabotaging behaviours he had been forced to learn at an early age? 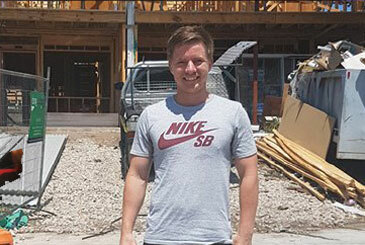 With his property investments now putting $20,000 into his pocket every year, Jack is one of the most satisfying success stories to come out of The Property Games – not just for the dollar-figure results but for the way a brave young man was able to put his life on an entirely different track. Jack has always struggled to fit into the box. An entrepreneurial kid from day one, he sold rabbits to buy motorbikes and did up old motorbikes to buy new motorbikes. He loves motorbikes.He had talent and ambition, but he always clashed heads with the system. Walking the rebel road, he found himself caught up in a world of drug-abuse and desperation. He became a drug addict himself at the tender age of just thirteen.One pivotal day, his mother found out about an ILRE one-day event in the local newspaper and encouraged him to go. Jack saw Dymphna, was incredibly inspired, and from that day on went cold turkey with the drugs. In true Jack style, he dove in headfirst and sold his beloved motorbike (GSXR600) to buy his first property. Jack threw himself into property education. It excited him, and he loved going to the Quantum events and talking to other investors; however, old habits die hard. He still moved in a troubled crowd, and while working a dead-end job as a bricklayer, it wasn’t long before he relapsed. Spiralling out of control, he found himself homeless, jobless, friendless and hiding from his landlord in a rubbish pile! Jack had come to a fork in the road.So Jack summoned all his courage, moved back in with his parents, locked himself in his room for two months to get clean, and started studying Dymphna’s materials again. It was during this time that he saw the post for The Property Games, and he applied. Dymphna gave Jack the call-up, and 72 hours later, he had sold everything he owned and was on the road to Queensland – with nothing but his car and some loose change in his pocket! The first time Jack went up on stage was at the Super Conference, 2015, and he turned on the charm. Afterwards, he wrote his name and number on the board, and said he was looking for a JV partner. He got sixty-five offers! What seemed like a flying start didn’t really get Jack anywhere. Six months into The Games, no closer to a deal than when he started, Jack’s hot head started to get the better of him. He began to blame everything and everyone around him. He called up Kevin and gave him a serve. He had set his expectations high, and he was angry with himself. Dymphna and Kevin could see the emotional turmoil that Jack was in, especially when Naomi, who had joined The Games late, landed her first deal before him. They told him it was time to confront his self-sabotage and fear. Together with the help of Dymphna and Kevin, Jack took a break from property to work on his attitude. After numerous mindset exercises, Kevin asked him to write down his life story. It was so profound it brought both Kevin and Dymphna to tears and is currently being edited into a book. The process of writing a book helped Jack to release a lot of his past, and he could see that the fear of success itself was the reason behind his failure to find a deal. With a fresh mind, things began to shift and when the deal he had been looking for finally came along, he was back in the game. Almost a year into The Games and after much searching (and soul-searching) Jack finally found a deal. He had found two residential houses on a shared 600 sqm block, just 5km out of Brisbane and with city views. His strategy was to subdivide and convert each property into a rooming house, with 5 bedrooms each side. At a cost of $750,000 per house and valued at $850,000 each, the equity uplift from the subdivision alone means that Jack will get his money out immediately, getting him into the deal effectively with no money down. What’s more, Jack and his JV partner each end up with $100,000 equity and a yearly income of $20,000, straight into their pockets.Sweet. Jack had a fire in his belly now, and he came across a House in Multiple Occupancy (HMO) on the Gold Coast that was already cash-flow positive, and was on the market with the option of rent-to-own. He ran the numbers and figured if he could convert one of the lounge rooms into an extra bedroom, rent the rooms out at $200/week, and move into one of them himself, he could double the income the property was delivering, from $6,000 to $12,000 pa.
Jack signed up to the deal with no idea where he was going to find the money to make it happen. However, through his networks in the ILRE community, he found someone to lend him the $10,000 needed for a deposit, and he was on his way. 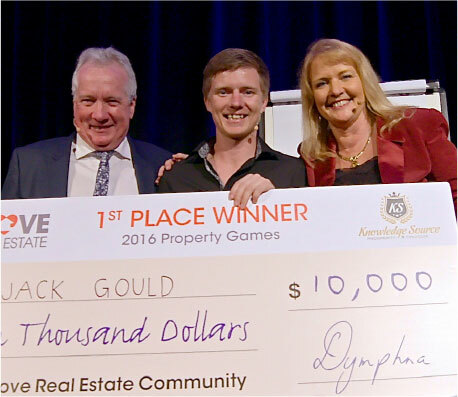 Including the pre-Games property in country Victoria, Jack now has a impressive investment property portfolio that puts almost $30,000 in his pocket every year, and has set him up with $125,000 in equity. On the physical and personal front he’s also lost 16kgs, has been offered a gig as a fitness model. The QLD police are after him… to help them teach disadvantaged youth about the devastating dangers of drug abuse. Jack’s future looks bright now, but he knows that it didn’t have to be that way. Many of his friends are indeed either dead or in jail, and Jack knows it could easily have been him. In the end, Jack’s story shows how, with a little guidance and nurturing, a kid who once had no future can completely transform his life and fully realise his potential. It’s an inspiring story… in all good book stores soon. 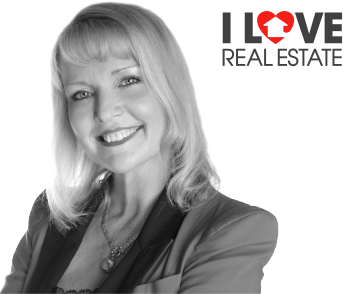 Potentially double the income the property is delivering, from $6,000 to $12,000 pa.